Congratulations! 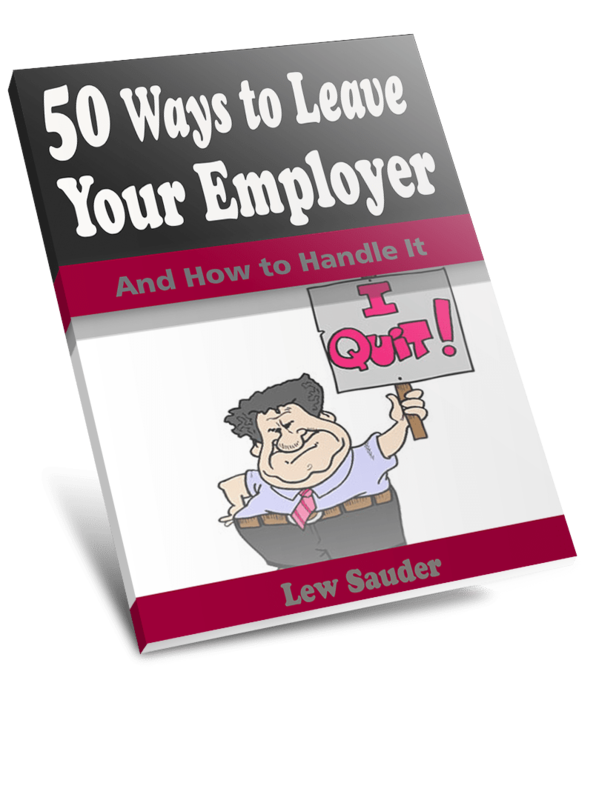 You’re just a few clicks away from learning about 50 Ways to Leave Your Employer. It’s a bit tongue in cheek and a little humorous. But it’s loaded with great advice on how to deal with 50 different ways there are to leave your employer, whether it’s your idea or somebody else’s. Enter your email in the box below to receive this free ebook.